After a sordid back-and forth between state and federal management, the Wyoming gray wolf population will once again be managed at the national level, with much stricter limitations on hunting than in the last two years. The state management plan was challenged by a coalition of conservation groups who argued three points in a lawsuit filed against the U.S. Fish and Wildlife Service in 2012. According to news reports they claimed that wolf numbers could still decline below the agreed-upon level, that there was not enough genetic exchange with other populations and that the gray wolf is still endangered in some of its range. U.S. District Judge Amy Berman Jackson ruled on a number of different parts to the state plan, determining Sept. 23, 2014, that the state's commitment to manage according to their own plan wasn't binding, and therefore not adequate. This ruling put the wolf back on the Endangered Species List said Wyoming Stockgrowers Executive Vice President Jim Magagna. But Wyoming isn't dropping the issue. Governor Matt Mead signed and filed an emergency rule just a day later, to appease the district judge by making the state plan "legally enforceable," according to a news release from his office. "The emergency rule has the full force and effect of law immediately and is effective for 120 days or 240 if extended by the Governor," said the release. 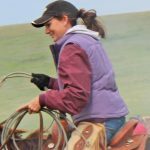 "There are five requirements we have to meet to keep the wolf off the Endangered Species List and one of those is maintaining an adequate regulatory mechanism in place to ensure management," said Amy Hendrickson, executive director of the Wyoming Woolgrowers. "The judge said we are lacking because we made a promise but didn't codify it," she explained. Magagna explained that with the governor's emergency rule, the state's plan becomes state law. The governor and livestock industry hope the judge accepts the emergency action and amends the ruling to allow the state to continue managing the wolves. "When I first heard the ruling came out, I hadn't read the decision and it sounded very bad. 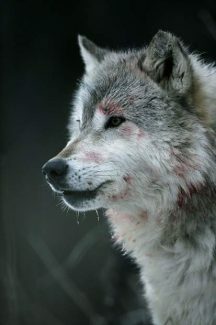 The wolves are protected again, which means we can't protect our livestock," Magagna said. But when he read the decision, he realized that the judge actually upheld the plan's effectiveness except the issue of wolf number maintenance. "I feel much better." He said. The stockgrowers, the game and fish department, the attorney general and others and hope the judge's concerns were remedied with the governor's emergency rule. The state submitted a motion asking the judge to "go back and remove wolves from the Endangered Species act," Magagna said. He doesn't know when the judge will rule on the state's efforts. Sportsmen and the game and fish commission are looking ahead to an Oct. 1 hunting opener, nervous that their hunting licenses will be useless. "Hunting and lethal take provisions in Wyoming statute are suspended because of the federal court ruling," said Scott Talbott, Wyoming Game and Fish director. The department has suspended all sales of gray wolf licenses and will refund licenses already purchased. Hunting in the trophy game area in northwest Wyoming scheduled to begin in October is suspended pending the outcome of the motion for stay, said department release. Livestock owners are looking at their healthy sheep and calves in the pasture, knowing they need protection. "We've had really good grass all summer and the lambs are looking really good right now," said Hendrickson. Many sheep and cattle producers will ship calves or lambs to market in the next month or two. Wolf kills would directly impact their once-a-year paycheck. Hendrickson said that since the judge's ruling, producers can only shoot a wolf on private property if it is in the act of attacking livestock. "It has to be biting or grasping a lamb (or other livestock), then you can shoot it but you have to show evidence of an attack to federal authorities within 24 hours. But on federal land no wolf management is allowed. "Even if it is attacking your sheep you can't shoot it, you have to get wildlife services to deal with it." The checkerboard of public and private property adds another challenging element to the varied rules. Magagna explained that the state committed to maintaining even more than the minimum required 100 wolves and 10 breeding pairs, in an effort to be pro-active in ensuring the population didn't drop too low and trigger a re-listing. "Within the trophy game area, which encompasses much of Northwestern Wyoming excluding Yellowstone National Park which was identified by the state as the prime wolf habitat, we all agreed we'd manage for 150 wolves and 15 breeding pairs and that way we'd have a cushion." That "cushion" or "buffer" agreement is written into the plan but not into statute, and is what raised an eyebrow with the judge. "She said 'you ageed to do it but if you don't there is no legal recourse,'" Magagna explained. The Wyoming Stockgrowers and 30 other organizations, comprising the Wyoming Wolf Coalition, had filed an Amicus Brief or a "friend of the court" brief in support of the Wyoming plan. "We haven't always agreed with everything in the Wyoming plan but we felt it was a workable solution that was reached and so we've stood behind it," Magagna said. Because wolves were introduced into Wyoming, Idaho and Montana, they are considered a "non-essential experimental population" and don't fall under the same rules as native wolves that are in Minnesota, New Mexico and other areas, Magagna explained. Two years ago, Wyoming's first state plan was challenged and the wolf was placed on the endangered species list. After Wyoming modified the plan, the wolf was delisted until Tuesday's court action. Montana's and Idaho's state plans are still in place and the wolf continues to be delisted in those states. Magagna said the U.S. Fish and Wildlife Service has recently released a proposal to delist wolves in the rest of the nation except for the small population of Mexican Wolves in the Southwest.